Most cats do not take their medication without fuss. 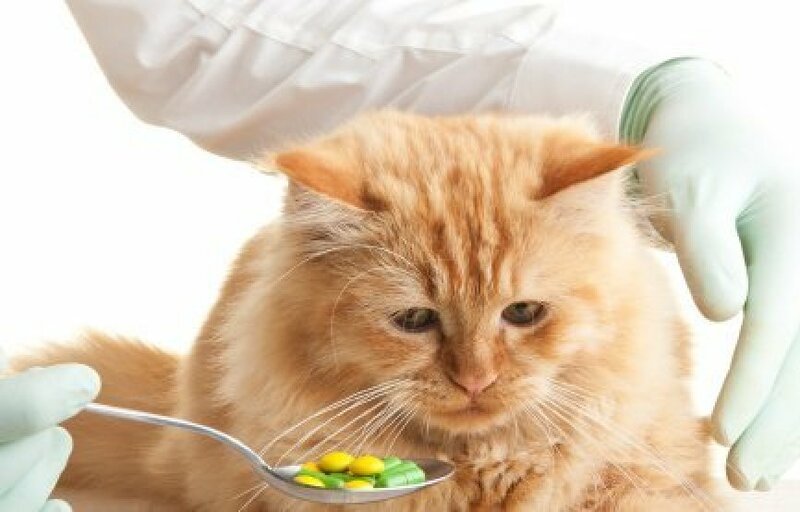 Getting your cat to take a pill can be a very difficult process but one that you will need to go though to ensure it gets the proper medication. This is a guide about giving a cat a pill. I have a cat that is nearly ten years old who was in need of medication. He is a big stubborn old cat and very difficult to handle when he doesn't want to do something. The first tablet I tried to give him following the approved method of putting the tablet far to the back of the tongue and the holding the mouth closed. It didn't work. I retrieved the pill and tried hiding it in his food, and that didn't work. Today I got the next pill out and crushed it (powdered it), and then I mixed it with cheese spread and smeared it on his foreleg and left him to it. A few minutes later I checked him. He had cleaned himself and in the process had taken the medication. Be sure cat's nails are trimmed. Put on a light jacket (not your best one). Set the cat on a stool or something higher. Love and pet the cat; talk gently. Wrap your arm around the cat lengthwise, so he can't back away. With the same hand, grasp head gently with one hand. Pinch jaw with a finger on each side to force mouth open (requires very little pressure). With your free hand, toss pill down throat as far as possible. Release jaw and stroke throat with fingers to encourage swallowing. If cat starts looking anxiously left and right, he's probably looking for a place to spit it out. Put your hand in front of his mouth to discourage this and to catch pill if necessary. If he licks his lips, he swallowed. Feed a meal or a treat. Even a really dumb cat will soon realize that when the pill is gone, the food arrives. I have a cat who can be evil at times. When he needed medication, I learned pretty quickly that none of the tips I'd read worked with him. If I actually caught him and got him to swallow it, he'd throw it up for spite. Then I talked to a wonderful woman I know who did cat rescue in Lansing. She told me to get canned cat food with gravy (or just gravy). Open the capsule or crush the pill and mix with the gravy. The cat would love it. I was skeptical. He generally could figure out what I wanted and do the opposite, even if it cost him. However, this worked. He's thrilled to get gravy, and I'm thrilled to not get scratched trying to force feed medications. I've been doing this for years now, and we're both happy with it. Store the tablet for as long as you can with the cat's kibble or treats -- long enough for it to take on the smell of the food. Serve the tablet along with the kibble/treats. Tablets are much the same size, shape and texture as kibble, and once it has the same delicious smell, the cat will gobble it up without noticing. Can't get your pet to take their vitamins? This morning, I had a flash of genius. Take a small handful of a favorite treat and add the vitamin pill. It probably helps if you wipe the treat on the pill, but I didn't do it and it still worked. Does anyone have any ideas on how to "pill" a difficult cat or get him to ingest Panacur powder (He has worms)? Our vet tried 6 times to "pill" the cat and was unsuccessful, so we tried the Panacur powder instead. He will not eat this either. We have tried mixing it with everything we know that he will eat, but 2 days later, that food is still there. I think he would rather starve. Is the taste/smell strong? Maybe mix it with a little tuna juice? the strong smell may cover it, and what cat could resist? You can pick up syringes from the pharmacy - I also use them to administer medicines to my children when they get fevers etc. Like mentioned...you can mix it with tuna, milk, canned food, eggs etc...depending on what he likes. And if that doesn't work try a dropper...mix your powder with some milk or something he likes and use a dropper. That is like forcing him to take it...but if he won't take it on his own that might be your only hope. And you will be able to make sure he takes it and takes it all. Good Luck! I agree with trying tuna. I've never known a cat to refuse it. They usually knock down who and whatever is in the way to get to it. Good luck! I have found that by wrapping my cat securely in a blanket (make sure all his feet/claws are gently tucked inside a big towel) and holding him, a helper can often get a pill into him; but as long as you have the powder, try the tuna - be sure to add some of the tuna water. My two cats had worms about 2 years ago. The vet wanted to charge me for visits and prescriptions. I just went to Walmart and got the deworming liquid for around $3.00 and it worked. You just hold the cat and put the medication in their mouth as the directions on the bottle say. I have recommended this to others and they have saved quite a bit of money. That was 2 years ago and the worms have not come back. 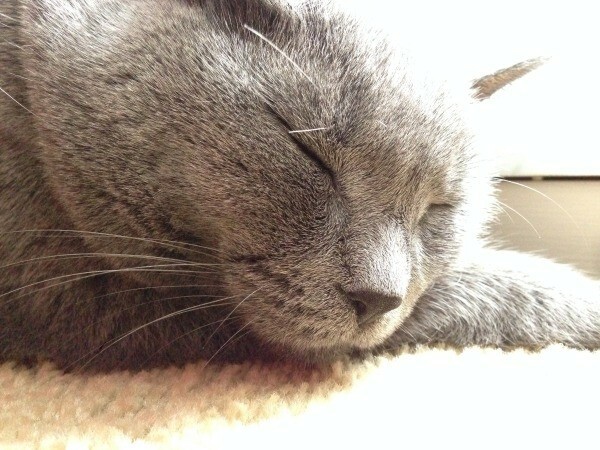 My cat is very difficult to give pills to also. I hide it in a little bit of flavored hairball remedy and he licks it right off of my finger. The pill is whole. Use caution when giving over the counter medications. Worm medication is given to treat a SPECIFIC kind of worm. ( There are many different kinds) Try the tuna and if it doesn't work, get a helper , wrap the cat, pry his mouth open and put it as far back as you can. Sounds like my cat! She won't take pills either...even crushed up in something. I tried yogurt, pet treats, canned cat food... she is too suspicious. I have heard of liquid meds for pets that can be tuna, or beef, or whatever, flavored,( the BANANA flavor my vet has does not appeal (haha) to my cat). I might search the web for a mail order site for next time my cat needs medicine. Wrapping my kitty up and force feeding her twice a day just isn't an option for me... I don't have a "helper". Vets need to be more inventive with kitty medicine! I found a site called flavorx.com that will help you find a vet or pharmacy near you that will change the pills to a flavored liquid... I'm going to call the one near me tomorrow for prices etc so next time my cat needs a rx, I'll be prepared. To get pills down a cat, use a straw to blow the pill to the back of their throat, then blow on their nose while holding their mouth together and their reflex action is to swallow the pill. Keeping the cat immobile in a towel is a good idea, along with petting and cuddling. When my mum's cat was ill we had the same problem. Eventually we were told to mix the powder into butter or fish paste. The trick then is rub the paste onto the cat's fur. He could not help himself, he just had to clean it off...and got his medicine at the same time. I hope your kitty is soon well. I have a thing called a "cat piller" that I got from my vet years ago. I actually use it for my dog who is almost 17 & takes 4 pills a day. It's sort of like a syringe but the top is flexible plastic & open to insert the pill, then there's a plunger to push the pill into my dogs throat. She doesn't really like it but it's quick and gets the job done. I can insert up to two small pills at once. I just found a product that works for fleas, worms, tics, and ear mites. My vet gave it to me and you just have to put it on the back of the neck. It's called Revolutions It worked great for my 3 guys. We've had to give pills to our older cats and it could be difficult. We had a "piller" device that worked pretty good. Hiding it in food will work or first use a pill splitter to make it smaller....they are smart tho and sometimes they will actually eat all the food and the pill will be left! Also if it's not too big, just pry the mouth open, sort of throw in at the back of the mouth, close mouth quickly and rub under the chin to make him swallow. We don't have any cats at present time but I would investigate whether or not a liquid form of the medicine is available....sure would be easier, I would think! Good luck! Your question jogged my memory to a time that I accidently took the cat's medicine.....not intentionally.I have adult attention deficit, so I try to do a lot of things at one time.My Doctor said that people like me are valuable at work, because they can mult-task.I remember I had been up late and getting ready to take some tylenol, I just got the hands mixed up.I remember placing a fast call to my Mother in law, I now would call Poison Control. It turned out okay, but I am more careful now.Two other things happened with this cat, when it was a kitten it swallowed a needle and thread, and also I had it on a leash taking it for a walk on a super hot day.I had hold of the leash, when all of a sudden,the cat (Mocha) started doing these gigantic looking jumps, like a ride at the carnival, I was so worried that it would crash it's head into the sidewalk.Apparently it bit a bug and the bug bit her back.So obviously, this trivia info, is not to be meant as a tip, but a little humor, if you can get the right mind picture, but then I guess you had to be there. Thank you all so much for your ideas. I will definitely try them! Does anyone know how to administer cat oral medication to a very uncooperative cat? I have tried the back corner of her mouth and all I get is claw marks from very self manicured sharp claws? Are you coming at him/her from behind? That's how I have to do it. Also, put on a coat or something that will protect your arms from attack. Hold the front legs with one hand and squirt with the other. If it's too much, try putting it in the food. My cat liked it mixed with vanilla yogurt. Don't give too much; just a couple of spoonfuls, since yogurt can lead to runny bowel movements. My cat refuses to take a pill. I crushed the pill in her wet food that she loves, but she won't go near it. The vet only gave us one. After I already did this I learned that if it's bitter they won't eat it. So how can I fix this and get her to eat the food? I had this problem with giving clindamycin to my cat. I rubbed a little butter on the small pill. Then I wrapped in a half teaspoon of tuna I had fixed for sandwiches (my cat loves it). Then I put it on the floor like it was a treat. The cat ate it so fast he never even noticed the pill. The reason I put butter on the pill was so the moist tuna would not pick up the flavor of the bitter pill. it worked. Good luck. This may not work for every cat, but the other night I was a bit rushed. So instead of taking the time to sit on my cat and shove his worm medicine down his throat time and time again, I did this. I took the skin from the back of a cooked chicken I was stripping for dinner and rolled the pills up in silver dollar size pieces of skin. He managed to get one half pill free and spit it out once, but the rest he took and swallowed, including the one he managed to spit out. For ease of application, it was a winner for me! Did I think he'd go for it? Not really, but he did. I think you want to be sure your cat's hungry, and make sure that what ever you roll around it or stuff it in is fairly large and one of their favorite foods. Yes, there are store bought pockets for this. I haven't tried them and sometimes things like this actually work. For those of you that have a hard time giving a pill to your cat, this works beautifully. Crush the pill into a powder then mix it with a dab of hairball medicine and smear it on the front paws. The cat will lick it off and you don't get all clawed up. Just make sure to spread it thin enough that it can't be flung off. My vet told me this. The picture is of my furbabies. Bubba, who crossed the Rainbow Bridge, is the tabby, and the other one is my sweet girl, Kitten, also known as hunnybunny. I will definitely give this a try. Thank you for sharing your vet's tip. Loved seeing your kitties, and sorry that you lost Bubba. My kitty won't take her pills. There is no way I can run her down, wrap her in a towel and force a pill down her throat twice a day. I tried hiding the pill in a moist treat but the smarty pants caught on to that. Does anyone have any other suggestion? I would really appreciate it. I wrap the kitty in a bath towel, folded in half. Lay the folded towel across your tummy. Put the cat in the middle of the towel with her back to the middle of the towel. Fold the bottom part of the towel tightly around the kitty's bottom so that the back legs are sticking down. Then fold the top part of the towel tightly aroung her neck. Your elbow is holding the bottom tight, and that hand is holding the neck, and fingers are beside the mouth. Open the mouth with your index finger and thumb, putting them in the fold of the bouth behind the teeth. With your other hand, push the pill over the tongue. Let go, and jump back. Try coating with cream cheese. All animals love it. Go to the pharmacy and get the pill "compounded" into a liquid. Many pharmacies are used to doing this and flavor the medicine suited for the particular type of animal. I have a 3-pound Chihuahua that acts very much like a cat and will NOT take a pill after multiple variations of attempts including hiding it in her favorite food. (The vet could not do it either). The vet called the medicine into our local pharmacy and they compounded it into a "liquid" flavored as peanut butter (for dogs). Who knew dogs like peanut butter but my Chihuahua loves it and looks forward to taking her meds each day. It now is a treat to her. I think for cats, they put in a fish flavor they love. Hope this helps. The extra money spent on compounding the medicine is well worth the lack of aggravation on your part as well as the torment to both you and your pet. I have a couple big tom cats, and I find that the way Kayla does it works best for me too. I actually prefer pills, because with liquids, I have to fight several times more.